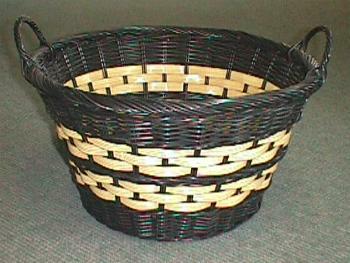 Why are Tropitek's Prolen Display Baskets a Superior Product? Tropitek Prolen is totally washable & a ultra hygenic product, Ideal for bakery, deli, produce & all other grocery & retail use. Tropitek Prolen will keep its shape, form & strength over TEN times longer than regular wicker products. Tropitek Prolen Display Baskets are stocked in the color "ALM" but can be produced in a number of different colors to meet your corporate colors. More Display Baskets, Trays & Supplies for the Grocery Industry. Is our brand name of our P.V.C. plastic baskets & should not be confused with any other company such as Tropitek international & Tropitek Totalmente adecuados which we are NOT part of. We have NO business associations with any other businesses other than our own company registered in Canada as Sharpe's tropical shell & Trading as B.C. 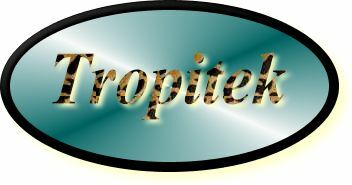 Tropical shell for our ocean related goods & Tropitek trading for our basket division.